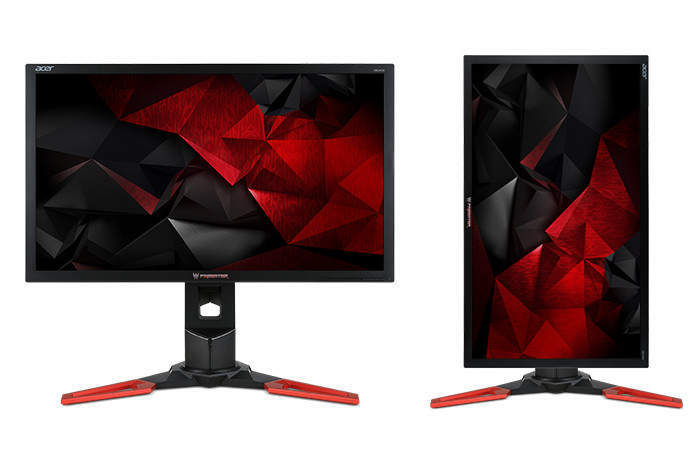 If you are in the market for a new G-SYNC monitor you might be interested in a new 24 inch display which has been unveiled by Acer this week in the form of the Acer Predator XB241YU 24-inch G-SYNC Monitor. The premium grade gaming monitor features NVIDIA G-SYNC support with refresh-rates of up to 165 Hz, 1 ms response time and provides a WQHD screen resolution of 2560 x 1440 pixels. Other features include a ZeroFrame LED back-lighting allow Acer’s design to keep the front bezels framing the panel to a bare minimum. The stand of the monitor also allows height, tilt, and rotary adjustments and accepts inputs from DisplayPort 1.2 (needed for G-SYNC), and HDMI as well as offering a 4-port USB 3.0 hub and 2W stereo speakers. The Acer Predator XB241YU 24-inch G-SYNC monitor is now available priced at $500. For more information on the new Predator XB241YU display jump over to the Acer website for details by following the link below.